Hello, guess you must be wondering what happened to my missing in action for the past few months. Yes, I have been held up by constant traveling since last Oct and barely home to indulge in photography and updating my blog. Last December was the most painful time for us due to the loss of our beloved pooch Coco who left us after struggling with end stage cancer. Despite having to suffer various health conditions throughout her life, she managed to hold out till the age of 15+ years old. Since then, it took me a while to visit this blog which is named after her. 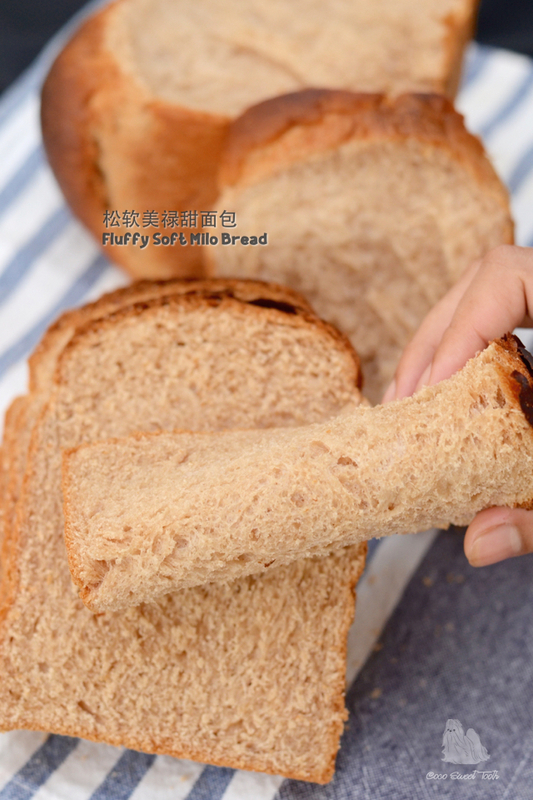 To start off the new year, I have made this milo flavored ultra soft and fluffy bread using overnight starter dough. Combine (A) into a mixing bowl and mix into dough form. 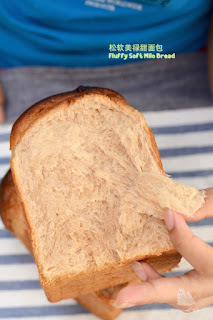 Cover with cling wrap and refrigerate overnight. 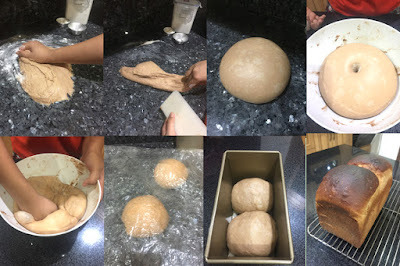 Remove the starter dough (A) from the fridge 1 hour ahead of the preparation time. 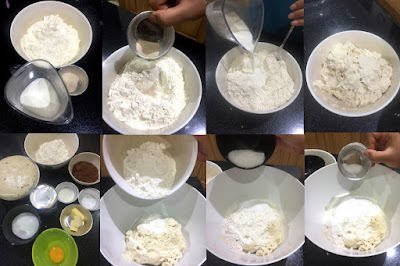 With the exception of butter (C), combine the starter dough (A) and (B) into the mixing bowl of the stand mixer fitted with dough attachment and mix with lower speed until all ingredients are well combined. 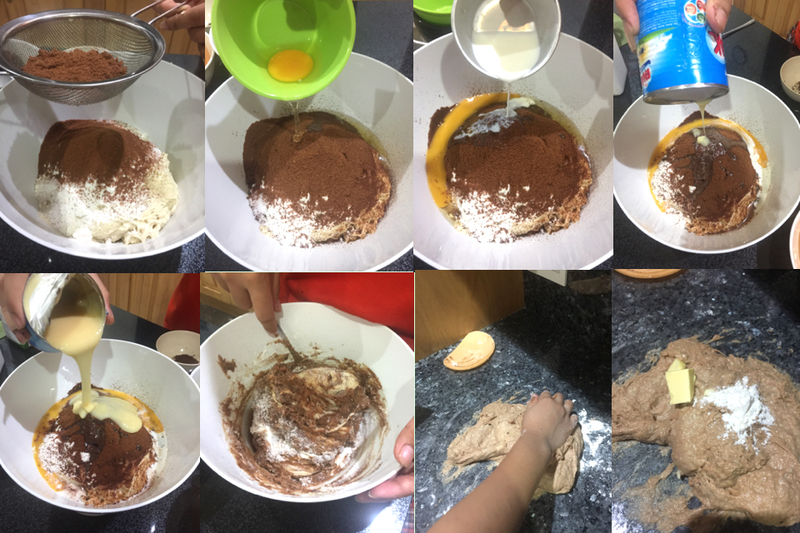 Alternatively you may follow the same sequence and combine the ingredients into a mixing bowl and hand knead till combined. Add unsalted butter (C) and slowly increase the speed to medium and continue kneading for approx. 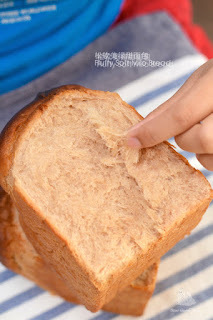 18-20 mins, until the dough becomes smooth and pass the window pane test. The same applies when you are completely kneading by hand. Place dough into a slightly greased bowl. Cover bowl with either cling wrap or cloth and allow the dough to proof for 1-2 hours or until it doubled in size. Punch down the dough and divide the dough into 4 equal parts. Mould it round and allow to rest for 15 mins. Place 2 doughs into each (greased) 21cmx12.5cmx11.5cmD loaf pan. Repeat the same for the balance 2 doughs. Spray some water over the surface with a fine mist nozzle. Final proof the bread in a unheated oven for another 50-60 mins. 8-10 Mins prior to baking time, remove baking pan from oven and turn on the oven heat to 170C degrees. Bake in the 2nd lowest level of a preheated oven at 170C degrees for 35-38 mins until golden brown. 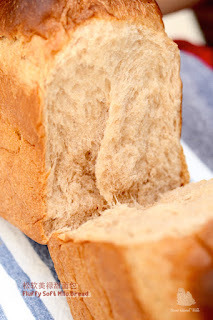 Remove bread from oven and turn it out onto cooling rack to cool.